As the new year approaches many are thinking about their health and fitness goals for 2018. 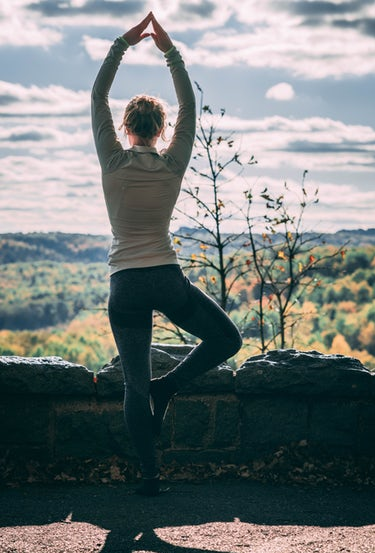 Our guest blogger Deb Ruka who is a personal trainer in Lone Tree writes about the link between physical wellness and mental wellness. We hope this helps to kick off your new year in a holistically healthy way. Exercise...everyone knows they should be doing it, but most people don’t realize just how beneficial it is. Here are just a few of the advantages to regular exercise: weight control, improved body image, reduced stress, and decreased risk of disease. These benefits are just tip of the iceberg. Hopefully this article will convince and motivate you to prioritize physical fitness. Exercise is a great way to manage your weight. Think of calories as a savings account: you always want to have some in reserve. Calories in moderation are not a bad thing, just the opposite, calories are in essence heat energy, which means calories increase your energy levels. And burning calories will boost your metabolism, increasing your body's overall efficiency. Exercise and good nutrition are a great recipe for increased energy and weight control. While weight loss is usually the prime motivator to get people started on a workout regime, don't underestimate the added benefit of improved body image that will result. This can be challenging and frustrating because it usually takes time to notice changes. You will probably notice physical changes, like your clothes fitting differently, before changes on the scale. Don’t be alarmed, this is a good thing because it means you are losing body fat and gaining muscle. Focus on exercising consistently and good nutrition, then the weight loss will come. With the confidence you'll feel from from your improved self-image, you'll notice that feeling will trickle into other aspects of your everyday life improving your mood and your overall mental health! If that doesn’t inspire you how about the effect exercise has on your stress levels? Exercising prompts your body to excrete endorphins. In layman's terms, these are feel good hormones, so exercise results in the reduction of stress and mood improvements. Exercise: it's the most underutilized antidepressant! Still not convinced to exercise? Does a decreased risk of disease peak your interest? Regular exercise can improve your cardiovascular health and lessen the possibility of type 2 Diabetes. It can also reduce your prospects of getting some cancers, strengthens your bones, and mitigates your chances of having osteoporosis. When you aren't worried about your physical health, you'll have more time to focus on your mental well-being. Is it work? Of course, that’s why it’s called working out, but anything worth having is worth working for. Your physical health is directly correlated to your mental health; so go out there and do something, anything, to stay active! There are so many options out there: play a sport, hire a trainer, download workouts on line, go for a brisk walk, jog, bike, join a group fitness class, join a gym, buddy up with a friend, or rent free workout DVDs from a library. So who’s motivated?! To talk to the author Deb Ruka L.Ac.,Dipl.,MSTCM about your fitness goals for the new year please contact her at her website or by phone at 720-209-2984. From Hell to Happiness. One girl's Guide to Surviving Suicide. The following blog post contains a real depiction of one woman's suicide attempt and recovery. This essay may cause some people to feel uncomfortable or triggered. We encourage you to remain mindful of your feelings and reactions and practice self care if you choose to continue reading. The narrative is filled with wisdom that the writer gained from her real life experiences as she recovered from her suicide attempt and sought help. As a team, we at Khesed are dedicated to breaking down the walls of stigma and are grateful to this writer for joining us in this important work by sharing her story. Whether you battle with thoughts of suicide or your experience of mental health is quite different from the experience reflected in this story, we encourage you to take heart in knowing that there is support available for those that are suffering. We are here to talk and listen, whatever your story might be. Contact Us. The struggle to treat mental illness can be a lifelong battle and it requires a fully committed team of friends, family, and doctors. When a childhood friend, who works for Khesed Wellness, approached me about writing a blog post for Suicide Prevention month, I was honored. I have become familiar with Khesed and their purpose and practices and have found their mission to be truly altruistic. Khesed, which means reciprocated kindness, provides mental health support in an easily accessible and affordable way. Mental health can be swept under the rug as taboo; as a symbol of weakness; as fake. Or played off as a joke. It is this kind of behavior that emboldens the depression and anxiety. This only stokes the flames of the voices inside your head. But with gentle care, truth, empathy, and kindness, you can begin chiseling through the walls of mental illness until finally, the light of day begins seeping through the cracks, driving out the madness. Khesed Wellness provides patients with the guidance to strive for peace of mind and the chisel to work your way there. I was broken. I was unstable, teetering on the fault line as it widened with my anxiety, devastation, and total loss of control. I had been tricked by what I thought was a new true love; a physical love, emotional love, intellectual love, pure love. Broken by an old love who couldn’t put down the hooch, I decided to drive to Wyoming to follow this new passionate love. But I was spurned mid heartbeat. I thought he loved me enough to choose me instead of the other girl. I chose him; he turned his back on me, shredding my heart as he disappeared from my life. And then I was triggered. My finger had been waiting restlessly on the trigger for months just waiting for an excuse and this boy was it. The fall into the suicidal cavern of my mind was quick; no effort to cling to the here and now. I switched, flipped, fell, broke, and disappeared in a matter of minutes. Through the tsunami of tears streaking my face and my shrieks of despair, I managed to pull over to the side of the road. Logic was silenced and that evil presence eternally weighing on my back took over every bit of my being. Right before I began frantically prying lids off of my three psychiatric med bottles as well as a bottle of Aleve and pouring the pills down my throat, I opened the glove compartment and grabbed a brown paper napkin and a pen. “I’m f---ing over it!” I scrawled on the napkin I left on the seat. Then, I opened the door and popped the trunk. Consciousness was quickly dissolving but I managed to stumble to the trunk and open a quart of motor oil. I gulped the thick, black, foul oil down and then chased it with huge swallows of bright blue antifreeze. As I was disappearing into the poisons, I made one last ditch effort at eternally ending the humiliation and forsakenness that had been triggered from deep down, by attempting to slit my left wrist with the saw in my Swiss Army Knife. Slicing deeper and deeper into my flesh and muscle, my blood dripped onto my jeans. My head loosely rolled down so that my chin rested against my chest, my mouth falling open, vomit trailing down the corners of my mouth. Someone had opened the door and reached into my car, wrapping their arms around my torso and legs. As the arms started to pull me out of the driver’s seat, my feet limply followed. Through the growing haze of death, I saw small blades of green grass mixed in with gravel on the pavement of the side of the interstate. I noticed the tips of my cowgirl boots were covered in vomit. The arms lifted me with power. They were attached to a police officer. My head rolled back on my limp neck as the sheriff carried my dead weight as if I were a fresh corpse. It was the sheriff of Converse County, Sheriff Clint Becker, who found me and pulled me out of the car as I was dying. Sheriff Becker only found me because I had answered my best friend, Nicole’s phone call and after her hearing me losing the fight for life as my speech became increasingly slurred, she got in her car and charged northward to Wyoming. In between calling me every 5 minutes, Nicole called 911 until an operator was able to dispatch a cop to look for me. They tracked my cell phone and found me. I was then handed off to EMS and rushed to Wyoming Medical Center where I was stabilized in the ER and then admitted to the PCU. If it hadn’t been for Nicole’s perseverance and persistence in finding me and Clint’s quick response, I would have died on that wretched stretch of road. When I finally regained consciousness, I found myself in a hospital bed with IVs placed in both of my forearms and a peripherally inserted central catheter in my neck used for dialysis. I was put on dialysis for one week. My urine was streaked with a rainbow residue leftover from the oil, which made me laugh. Despite my tormented state only days before, I was alive and happy. After I was medically cleared, I was then admitted to Centennial Peaks psych hospital for one week. I enraged a fellow patient because after she did her laundry in the same washer that I had just used to wash the motor oil infused vomit out of my favorite Colorado State University hoodie, her clothes were tainted by the lingering film of motor oil. While at CP, I participated in Dialectical behavior therapy (DBT). DBT is a type of cognitive-behavioral therapy that focuses on four sets of behavior skills: emotional regulation, mindfulness, interpersonal effectiveness, and distress tolerance. The DBT helped me to withstand the emotional trauma long enough until I went home and continued therapy with my psychologist and psychiatrist. A key component to surviving the hell of mental illness is having a guide. As I have grown with my diagnosis, I have come to find a sense of self in the archetype of the Greek goddess Persephone, the Queen of the Underworld. Taken captive by Hades, the god of the Underworld, as his unwilling bride, she fought her new life. Upon Persephone’s rescue by her mother Demeter, the goddess of the earth, Hades offered Persephone a pomegranate and before she left with her mother, Persephone ate six seeds, which sentenced her to spend six weeks out of every year in the Underworld, serving as the queen. Every year, Demeter mourns the loss of her daughter and mythology tells us that this is where winter comes from. Eventually, Persephone learns to love her role as Queen of the Underworld and becomes a guide for those lost in the darkness. I see myself as a modern-day Persephone. I have been to the darkest corners of hell; I have spent time in the blackness, enough time to know exactly how to help those also suffering from a mental illness, also trapped in the depths of the Underworld. Everyone fighting their way through the Underworld for their sanity, for the strength to last just one more day, for the ability to find their beauty and worth needs a guide; that’s where people such as the trained, compassionate, and empathetic team of practitioners at Khesed prove to be vital in helping the mentally ill to manage their illness and live the best life they can. This in turn greatly benefits the community. September is National Suicide Prevention month, but for some, fighting suicide is a battle they will face for years. That’s why suicide prevention deserves more serious and respectful attention by the masses. As someone who has faced what could be the moment of no return and who has clawed my way back from that place, I can say it would never have been possible without professional therapy and it brings me such relief to know that Khesed Wellness serves as a safe place for healing and exploration. Having worked with many patients struggling with their own mental illness, throughout my seven years a Certified Nurse Aid, I have seen people at their lowest, but with the surge of kindness and attention they received from friends, family, beef burritos from Taco Bell supplied by doting mothers, and a team of healthcare givers, patients found reasons to smile. It was like the peace and beauty of a frosted forest after a wicked blizzard. The storm is unfathomably unforgiving, but as light and love manifest, the storm weans. The more we understand mental illness, the more effectively we can fight it. Reciprocated kindness can be taught and even applied to the self. Being kind to oneself is the first step in the battle for mental health. It can be a long, arduous fight, but with this enveloping kindness there is light, love, trust, strength, camaraderie, and healing. A lyric from the Third Eye Blind song Jumper always sparks inspiration for me: “I wish you would step back from that ledge, my friend/you could cut ties with all the lies that you’ve been living in…” Let go of the lies people tell you, let go of the lies you tell yourself and fight for yourself. Use your resources, use Khesed, use your heart. You’re worth the fight. Believe me. Tyler, my youngest nephew, and me.